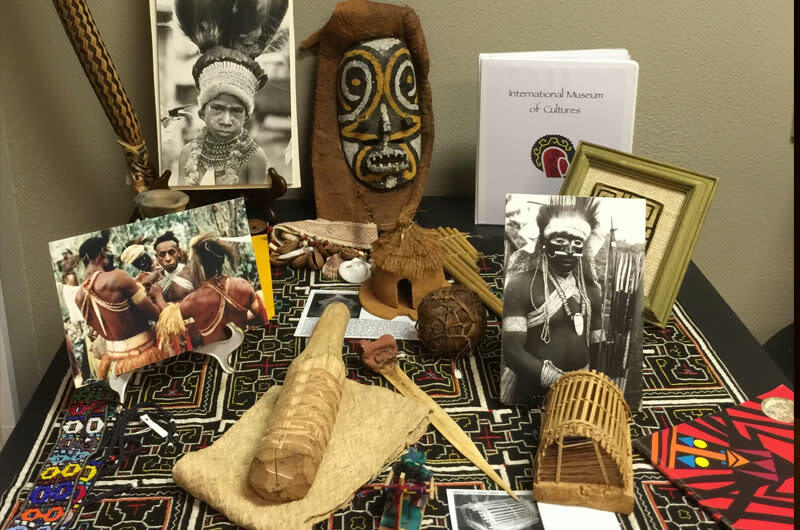 The International Museum of Cultures is the only contemporary cultural anthropology institution in the state of Texas which strives to understand the challenges of existing communities in remote locations of the world. This is done by focusing on the indigenous peoples of those regions. Through exhibits, educational programs, and public events, the IMC celebrates people of diverse cultures in an effort to embrace and promote understanding of cultural differences found both in isolated areas of the world and in our own community. There are numerous events held at the IMC and the building has two rooms that are available for private meetings, parties or lectures. A children's lab is in the process of being developed on the second floor.